This one (on the left) is purple – they start out a pale blue / purple and then turn dark purple before they wither up and die. I’ve done very little dead-heading and yet they have still spread and grown very bushy, completely taking over the pots they were planted in. Their position is in the one area in the garden that has full sun – on my back patio. 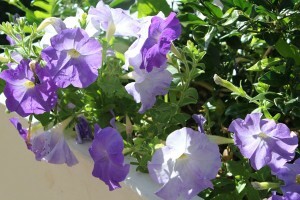 Two of the pots have white petunias and one has the the purple. Here are the white Petunias on the right. They have completely taken over and are growing up the tree that is behind the pot. 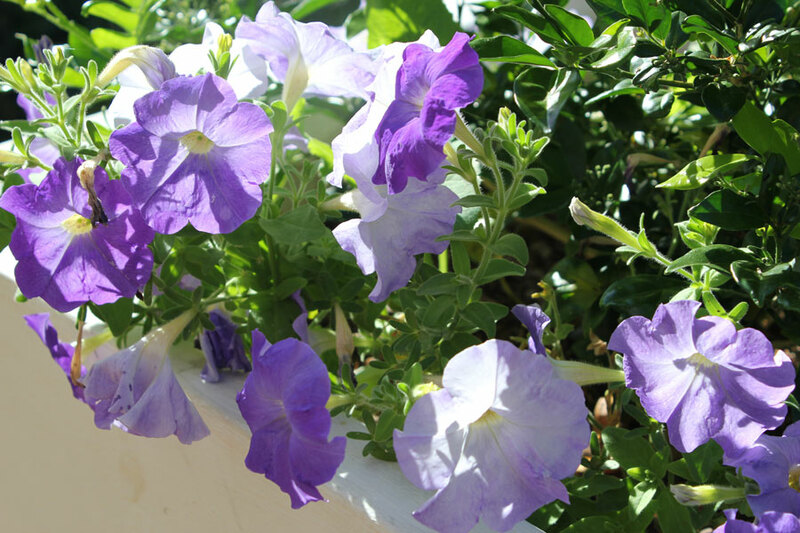 I wonder what would happen if I watered them more often or, as all my books suggest, fertilised them every two weeks … I think we would have a mass petunia invasion on my patio. 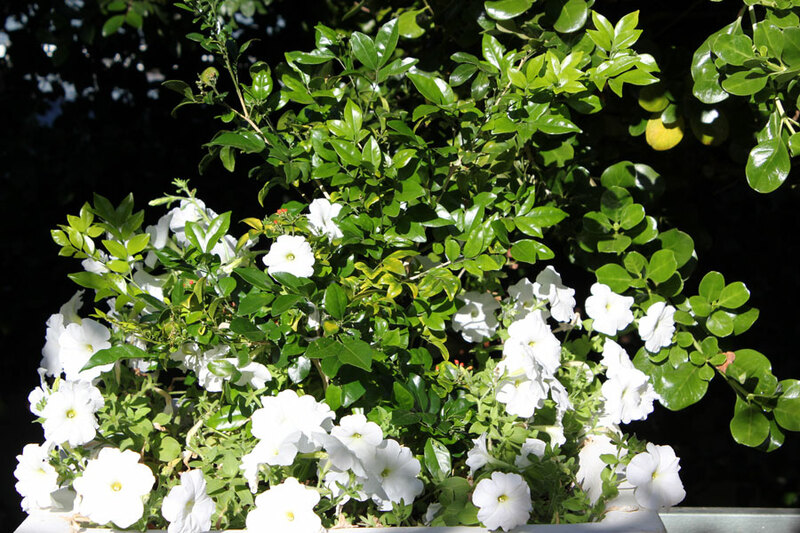 I love annuals – even though they are short lived and need to be replaced after the season, they fill the garden with something fresh every season. Easy to grow and care for, I think I will always reserve some beds and areas in my garden for annuals. Just found your blog but we’ve started creating more gardening posts ourselves on our blog as the warmer temps of spring arrive. If you have a Twitter or Facebook page, let’s connect! Your petunias are absolutely gorgeous. They are soft and colorful and a pleasure in any garden, especially because they are so forgiving. They need little attention and see how they grow. You will find that in time you will choose what annuals work well in your garden. I cannot wait for spring. I am so tired of looking at twigs.